Wednesday, June 27, 2018 ~ 5:00-8:00 p.m.
Louis E. Gibson, Jr., 75, of Lincoln, NE, formerly of Ashland, NE, died Monday, June 25, 2018 at Havelock Manor in Lincoln, NE. He was born September 5, 1942 in Omaha, NE to Louis and Evelyn (Heisner) Gibson. Lou graduated from Gretna High School. Lou served his country in the U.S. Army as military police until he was honorably discharged in 1966. On August 10, 1968, he was married to Laureen Pelzer at Trinity Lutheran Church in Papillion, NE. 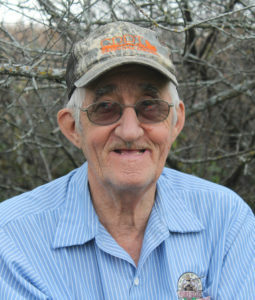 Lou started farming in 1966 after he returned from the service and continued farming for most of his life. Through the years he also worked for Nebraski, Warner Enterprises and he drove bus for Mead Public Schools. Lou enjoyed gardening, landscaping, hunting and fishing. He is survived by children, Kevin (Tammy) Gibson of Ashland, Amy (Darrell) Eloge in Lincoln and Lisa (Tony) Matthes of Genoa; grandchildren, Tyler, Nicole, Trevor, Layney, Aryan and Lausyn; mother, Evelyn Martin. He was preceded in death by wife, Laureen Gibson; fathers, Louis Gibson Sr. and Kenneth Martin. Condolences for Louis E. Gibson, Jr. He was a good man. He always seemed to be smiling.He will be missed.